Oakley, Smith, Anon, Electric, Nike, POC... Web Pricing! Ski Racing & Going Fast! Ken Jones Ski Mart: The skier's choice since 1968! It's for good reason that Ken Jones Ski Mart has become the premier ski shop in NH. Since 1968, our passion for Skiing and Snowboarding has fueled a fifty year long evolution that has seen our local ski shop in Manchester, NH become the focal point of an ever growing community of like minded outdoor enthusiasts and snow junkies. 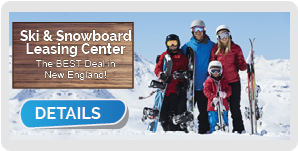 It's because of you that we're able to offer all of our customers, no matter their experience level, an unprecedented selection of skis, snowboards, apparel, accessories, skateboards, longboards and skateboard shoes from the most trusted brands in the industry, as well as services unavailable from other ski shops in NH. Located at 150 Kaye St. in Manchester, NH, Ken Jones Ski Mart only stocks the freshest gear and the seasons best products: ski boots, ski bindings, skis, outerwear, and snowboards from brands like Volkl Skis, Burton Snowboards, The North Face, Patagonia, Spyder, Line Skis, Oakley, Capita Snowboards, Lib Tech Snowboards, Never Summer Snowboards, Nike, Rossignol, Atomic, K2, and many, many more. Our “Tune Shop” keeps our customers shredding with the most precisely tuned equipment possible. Our tuning professionals offer a full range of services for both snowboards and skis to ensure that every run you make is more memorable than the last. 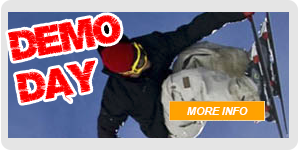 Anything from custom boot fitting to board waxing to edge repair to binding tests and more are conducted on-site. And, unlike any other ski shop in NH, we're not satisfied by simply providing our customers with the best equipment and apparel available. We've got to get out there and join them in the raucous good times. 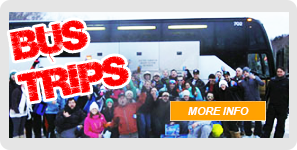 Through Club KJ, we regularly organize ski bus trips, bar parties, and mountain demo days that any of our customers can be a part of (age appropriate of course). Again, because of all of our dedicated customers, we're able to offer discount lift tickets to the most popular mountains in New England. It's because of our customers that we've been able to stay in business for 50 years, as the premier ski shop in NH, and we invite you to join us in looking forward towards another fifty years of fun on snow!